With just 11 weeks until Christmas, York Theatre Royal are pleased to announce that Berwick Kaler, Martin Barrass and Suzy Cooper will be joined by the man everyone loves to hate, David Leonard. David has spent the last two years playing Miss Trunchbull in the hit west end musical MATILDA, missing the last two pantomimes. I have had thousands of letters from one or two people begging me to return to York and bring thought – provoking entertainment back to the masses. I shall bring with me my personal assistant, dresser, physiotherapist, Zumba guru, and a word Dame Kaler has never heard of – professionalism! I only vaguely remember him! Also returning for Old Mother Goose are stalwarts AJ Powell (the brummie you’ve taken to your hearts), Tim Lawrence, playing the young Squire Tingly – Bottoms (good luck with that one Tim), Pocklington’s very own Harry Hughes, Hermione Lynch, Danielle Mullan, Lauren Newton, Jake Lindsay, Faye Cooper and Cameron Macdonald. The creative team from last year’s extravaganza return with stunning set and costume design by Phil R Daniels and Charles Cusick Smith, mesmerising lighting design by Richard G Jones, compositions and musical direction from Elliot Styche and choreography by Grace Harrington. As usual, Artistic Director Damian Cruden directs with interference from the old dame. 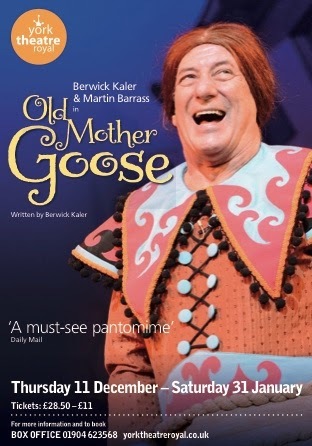 Old Mother Goose is a pantomime rarely performed these days so is ripe for a York Theatre Royal re-awakening written by the UK’s longest running panto dame Berwick Kaler. It is the tale of good versus evil as two fairies battle for supremacy. 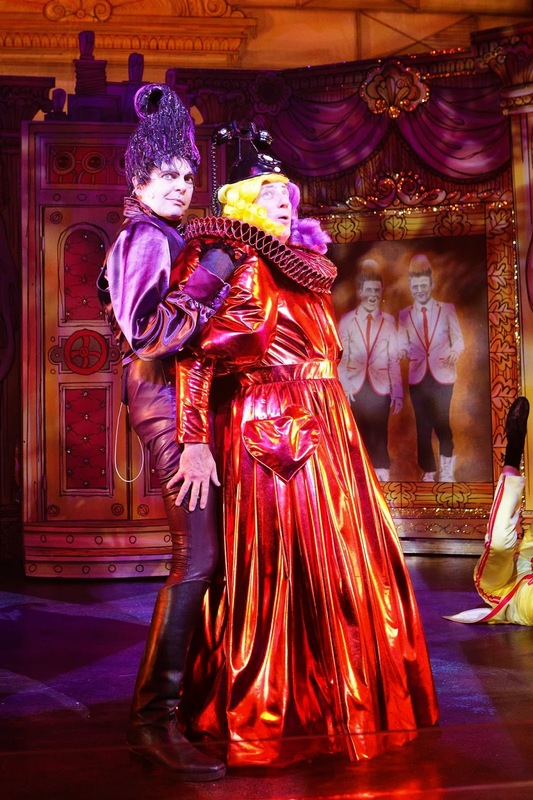 It’s another classic panto ‘tale of the unexpected’, to mystify your senses, tax anyone’s credulity, but above all enthral the whole family in a world of laughter that never ceases. To book tickets for Old Mother Goose call our Box Office on 01904 623568, or book securely online 24hrs a day at www.yorktheatreroyal.co.uk.